This topic contains 6 replies, has 0 voices, and was last updated by Anonymous 6 years, 2 months ago. I don't even begin to know what to tell anyone to describe the extent of the problem here. The ports are open, and tested open, as far as I know, they are forwarded, because I can go into the command prompt and ping the ports and get response from them, but whenever I try to open IE with "ip:port", I always get an "invalid security certificate" error, a "this page cannot be displayed" message, or a completely blank screen. What information (and where do I find it) do I need to put up on the forum to be able to tell a troubleshooter what they need to know in order to help me track down my issue? Is there any tech support I can call anywhere, to get someone to try to talk me through this over the phone? I've been struggling with this for over three months, and am no farther along than I was when I started. Sorry to hear you are having trouble. Can you provide me with the model # of the DVR? Was the DVR purchased through us CCTV Camera Pros? The reason I ask is not all DVRs are web browser accessible, most are but not all. Is there a disc that came with the DVR? If so most likely there is a client software you can use for remote viewing instead of web browser. Please try using client software to see if you are able to connect to the DVR. This will tell you is it a browser issue or not. I bought the set off Ebay. 4 cameras, DVR, 4 – 100' cables and 16" flatscreen monitor. If I recall correctly, it was advertised as being remotely viewable on Android, iPhone, and Internet. I do not recall a disk being with the package, nor is there a place in the DVR to insert one. Is there any other information related to my network settings (IP, Gateway, etc.) or to the Port information in my router that can be of help? Have you contacted the seller on Ebay for support? You can refer to the documentation on our website for some help because the concepts involved are the same for any DVR, but the vendor that sold you the equipment should provide you with specific instructions for that particular model. Here are some resources on our website that may help point you in the right direction. Yes, I contacted the seller, and they told me the page of instructions that were included with the package should be all I needed. They neglected to understand that those instructions explained nothing, and nothing I said to them ever got more than "the included page of instructions should suffice. If you have any other questions, please ask." Asking another question got the exact same response. They would take up to two weeks to reply by email. The "included page" gives very cryptic instructions, explains nothing about where to find information to input, and when I sent them an email asking where to find such information, all they ever told me I should refer to the paper. The "instructions" were written for people who already know how to do it. I have tried my best to follow all the directions given on the poorly-written and indecipherable page to which I was referred, and still nothing works. Ergo, the instructions given were useless, incomplete, and incorrect. If they weren't, it would work. Example: The instructions say "open port 80". That's ALL it says. Nothing more. They do not explain what port 80 is, where to find it, how to know if it is open or closed, or what information to input where that opens the port. It took me over four months to open the port on my router, and then only after I hired someone to do it. The guy I hired came in and had the router set up in about 10 minutes. I showed him the sheet of instructions, and his only comment was "this isn't worth the paper it's printed on. If need be, I can scan it, and post it, if I can figure out how to link to the image. I asked the guy if he would try to get the cameras to work, and he tried for over an hour with no result, and then had to leave for another job. Cost me $60 to get the port open, and I still can't see the cameras except from the monitor next to the DVR. Another example: Nowhere on the page of instructions did it mention that I had to connect the router to the DVR with an Ethernet cable. I only found that out when the guy that came to open the port on my router mentioned that in order for the DVR to communicate with the router, it had to be connected by a "Category 5 Ethernet cable". That little tidbit of information was not included anywhere on the "page of instructions" so, I had to go out and get one. "Download the Naway app and view your cameras on your phone." That's it. Not one letter about setup, what information to enter, or anything else. Just that one sentence. Not even where to go to find the "Naway app"! As I mentioned before, the instructions assume one already knows how to do it. I do not. So, let me make this simple. I can't be referred to some webpage that purports to give instructions, because that won't do me one bit of good. I've looked at these links, and while the first two of them in Mike's reply are much more detailed, they don't explain enough for me to understand why it isn't working, or what I have to do to troubleshoot it to get it to work. The other link from "AAAaabasa" took me to what looked like a wordpress template that read like a sales page. My DVR isn't exactly the same as the ones illustrated on the page Mike linked to, but I can say this, I did play around in the DVR and figured out how to get into those settings on my DVR, and where the configuration details are, everything is blank. In my DVR settings, there are no numbers in the IP address, the Gateway, the Netmask,or the DNS server. All that is already there is the Port, which is 80. Where do I go to find out what information should be put there? Also, my router is not listed on that page, but I did use the "port tester" and it tells me that Port 80 is open. That is the limit of my ability to decipher what all this means. The "network setup, port forwarding" link is far more detailed than the paper I was referred to, but it still doesn't tell me what information to enter where, nor where to find that information to enter. So, nothing works yet. I need a real person from whom I can ask specific questions, and get simple explanations I can understand. Being referred to some webpage is like asking me to read a book written in a foreign language. Yes, I can read, but not in Egyptian Hieroglyphs or Attic Greek. Isn't there anyone who can help me figure out what to do to get this working? Sorry to hear you are still having trouble. My honest recommendation is to return the DVR system that you bought from the Ebay and get your money back. It is unacceptable to buy something as technical as a surveillance system and not get any support. CCTV Camera Pros does this setup for customers remotely over the Internet when our equipment is used. Unfortunately, we know even less about your DVR than you do because it is not our product. 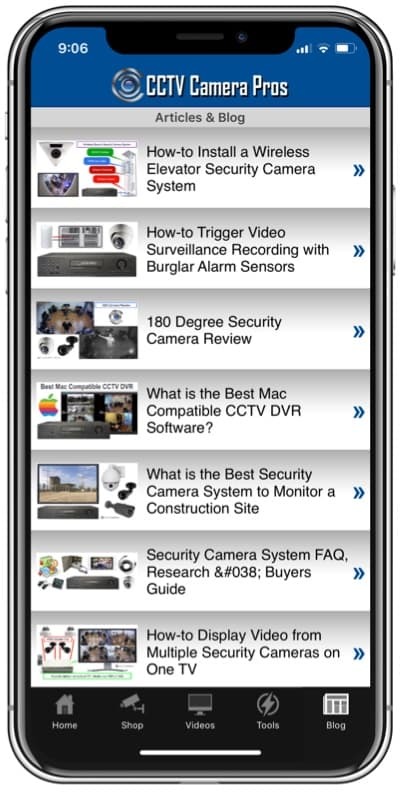 In case you are unable to return your DVR, I will provide some links below that will hopefully help you but again keep in mind that these are instructions for CCTV Camera Pros equipment and explanations about general concepts. You still need to figure out the specifics to get your DVR to work. 1) Do you access your DVR from a PC using a web browser or was a software application provided on CD? 2) If browser, are only certain ones supported? 3) Which mobile apps are used for iPhone, iPad, Android? 4) Is a different port used for mobile access? 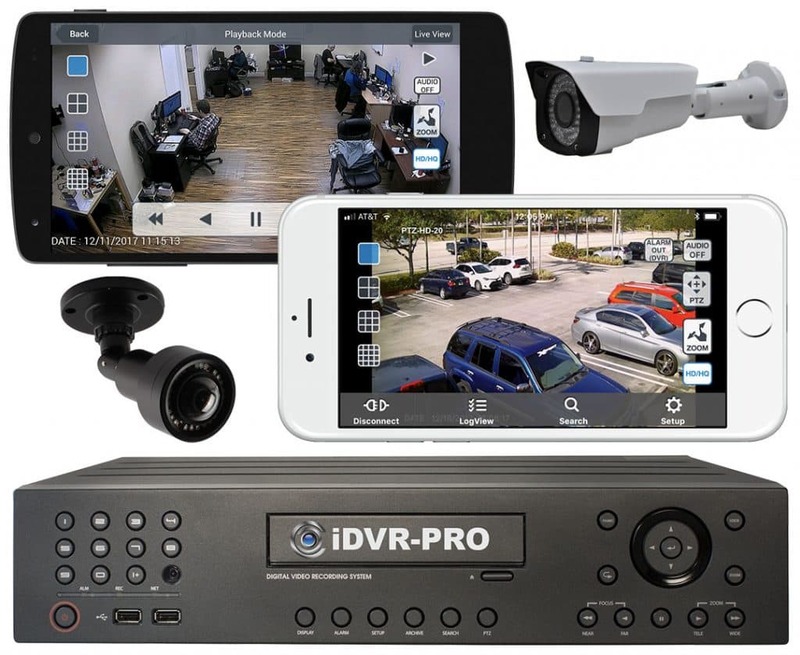 If you are still stuck, do yourself a favor and return that surveillance system that you bought from Ebay and purchase a real DVR from a real company that will support it. Our iDVR is the best on the market.